A diamond select release! 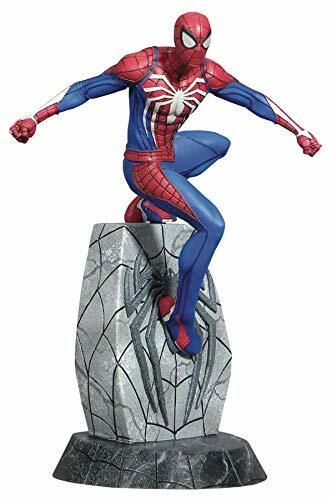 the most anticipated Spider-Man film of all time is almost here, and this new Marvel select action figure captures the excitement of the new movie! 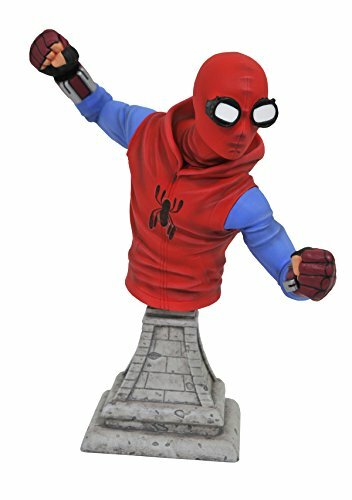 after his eye-opening appearance in Captain America: Civil war, making a figure of spider for Spider-Man: homecoming was a no-brainer, and this 7" tall figure features 16 points of articulation as well as interchangeable parts. Packaged in display-ready select figure packaging, with side panel artwork for shelf reference. Sculpted by gentle giant Studios!. A Diamond Select Toys release! the first Marvel Cinematic universe spider-film is here, and we couldn't be happier! 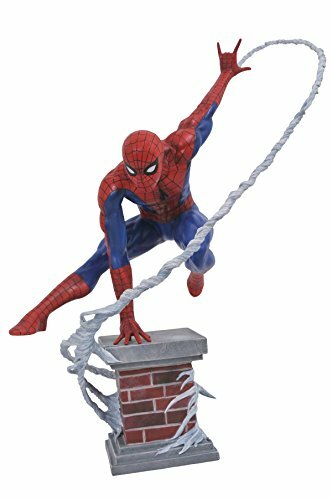 to celebrate, we've created a Marvel gallery PVC figure of Spidey in his new duds, clinging to the side of a building in typical Spider-Man fashion. Measuring approximately 10 inches tall, this diorama features detailed sculpting and paint and is in scale to all other gallery and Femme Fatales figures. Packaged in a full-color window box. Sculpted by gentle giant Studios!. A Diamond Select Toys release! 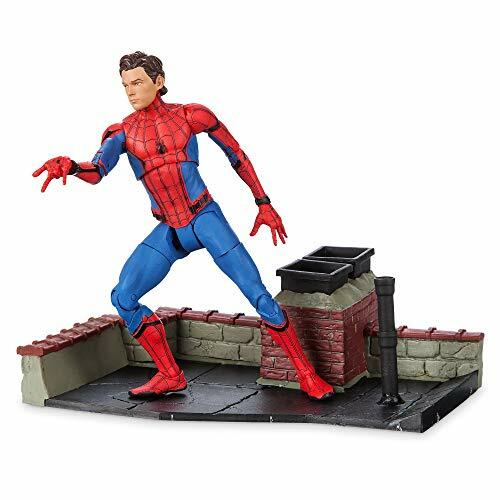 The ultimate Spider-Man collectible is here! 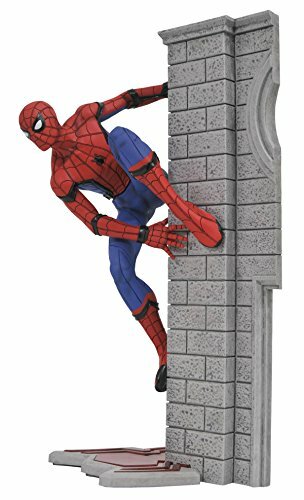 This large-scale resin statue of Spider-Man depicts a classically styled wall-crawler vaulting over brickwork as his web line whips around him! Dynamically hand-sculpted by the legendary Clayburn Moore, this high-end, 12-inch-scale collectible is a must-have item for any Spider-fan! Limited to only 3,000 pieces, this statue features a hand-numbered base and comes packaged in a full-color, hand-numbered box with a certificate of authenticity. A Diamond Select Toys release! 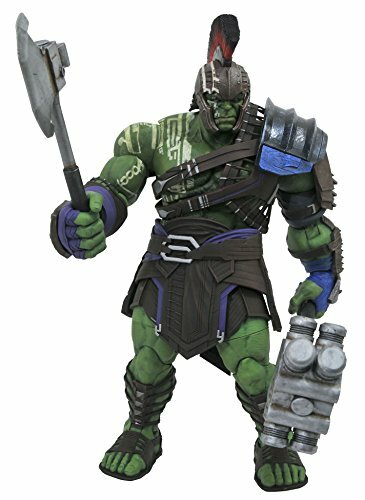 Hey, you aren't the Avengers! 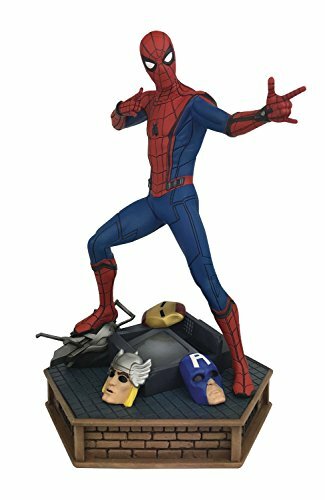 Relive the scene in Spider-Man: Homecoming when Spidey takes on a bank-robbing gang of Avengers impersonators with this approximately 12-inch statue based on the film! Featuring a screen-accurate Spider-Man standing atop an ATM and surrounded by discarded alien weaponry and superhero masks, this resin statue is limited to only 3,000 pieces, and comes packaged in a full-color box with a certificate of authenticity. Sculpted by Gentle Giant! A Diamond Select Toys release! it's almost time for homecoming! 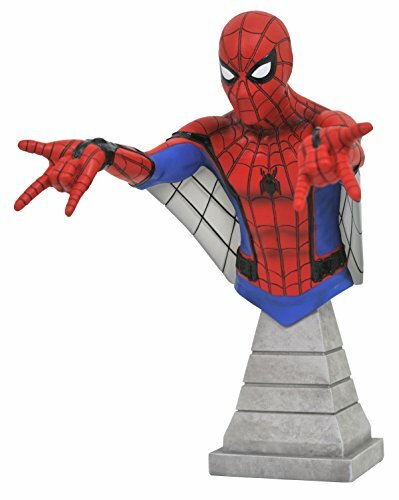 the first Spider-Man film to be part of the Marvel Cinematic universe is almost here, and DST is commemorating the occasion with to resin busts based on the film! one depicts Spidey in his high-tech suit, with web wings, while the other shows him in his homemade suit. Each measures approximately 6 inches tall and sits atop a pedestal inspired by new York architecture. Each comes packaged in a hand-numbered, full-color box with a Certificate of authenticity. Sculpted by gentle giant! 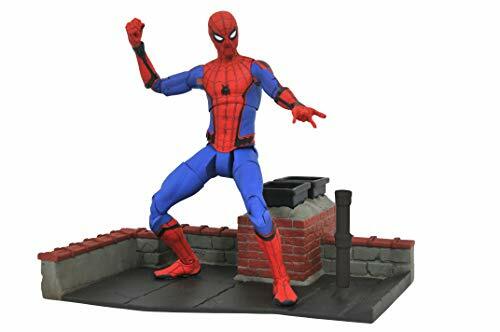 Webslinging warrior Spider-Man defends New York City as this fully sculpted and articulated action figure, inspired by Spider-Man: Homecoming. One of the most highly anticipated Spider-Man films of all time is almost upon us, and DST is offering a full assortment of Minimates based on the movie! 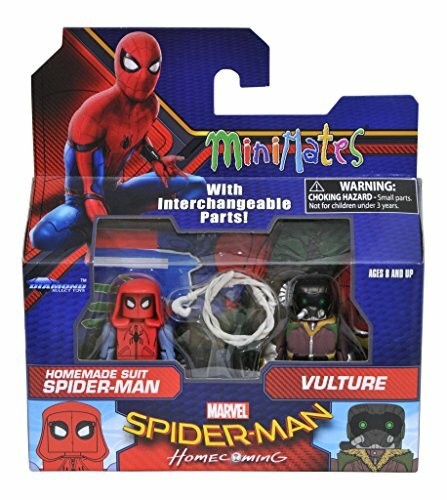 This assortment features four different two-packs: Spider-Man vs. Shocker, Homemade Suit Spider-Man vs. Vulture, and two comic-shop exclusive sets -- Battle-Damaged Spider-Man vs. the Tinkerer, and Peter Parker with May Parker! Each Minimates mini-figure features 14 points of articulation and fully interchangeable parts, and each two-pack comes packaged in a full-color window box.